Run by the Croatian hifimedia magazine, the Zagreb AV Show is one of the secret regular fixtures on the audio calendar. In its 23rd year, this is a comparatively small show, reflecting both the size of the Croatian audio market and that of the population of Croatia itself, but no less full of passion and energy. The show itself may take up just one floor of the Zagreb Sheraton, but the array of good products (both locally grown and internationally well-known) was impressive. And while there were few new product launches at the show, this was all about quality rather than novelty. There are a couple of difficulties that emerge in any local show. The first is the language barrier – technical details surrounding products are sometimes difficult to garner when you have so few words in common that representative and journalist have to resort to sign language, and the potential for transmission errors in translating a price from Kuna via Euro into Dollars or Pounds can make accurate pricing impossible. 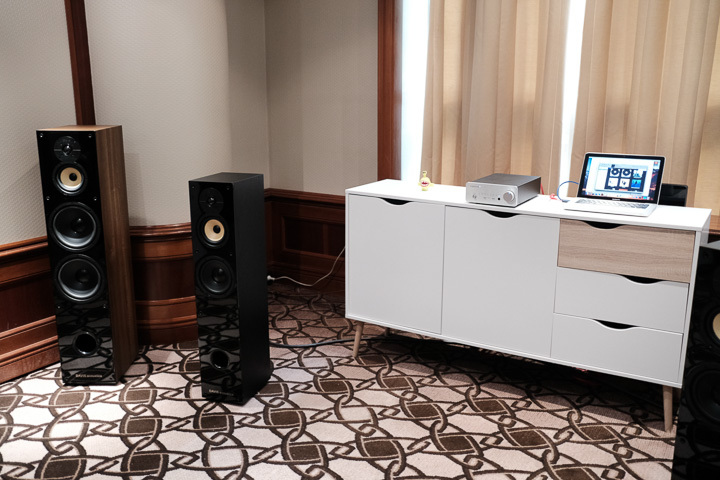 Audio Centar ran a Anglo-French system comprising an Exposure XM5 integrated amplifier driving a pair of Davis Acoustics Balthus 90 floorstanders. The source was a computer, and this diminutive system was nonetheless more than capable of delivering a very fine sound, without breaking the bank. 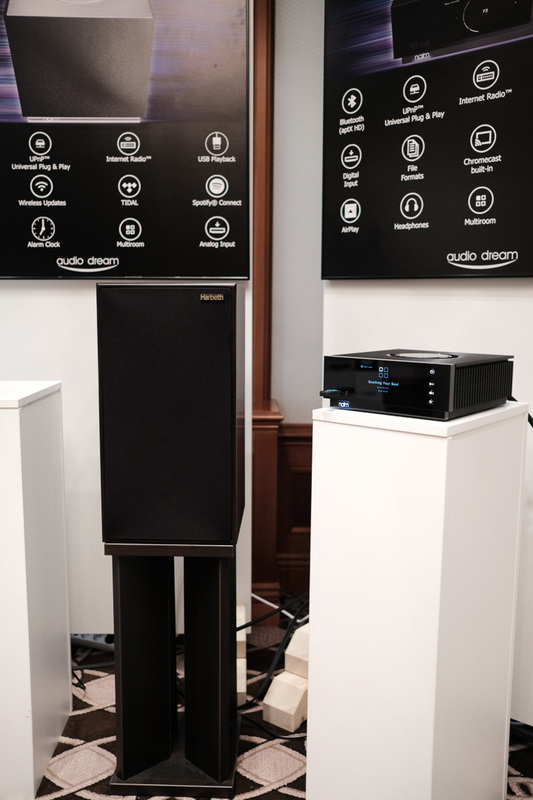 Several well-known British products were on demonstration in the Audio Dream room, with models from Harbeth, Naim Audio, and Rega, as well as a lovely sounding pair of Ryan loudspeakers from California. A pair of Harbeth Compact 7ES-3 loudspeakers being driven by a Naim Uniti Atom integrated amplifier also made some extremely good sounds. Unlike many US and UK shows, there seems to be less of a division between stereo and multichannel, and the two sit comfortably side-by-side. 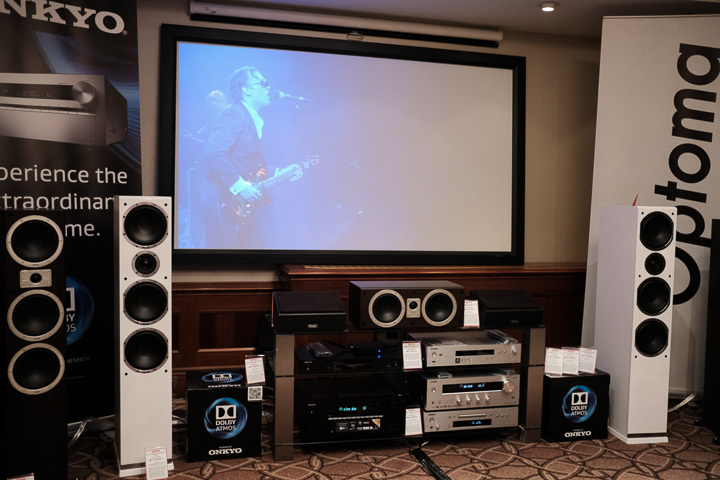 In the Chipoteka room, this meant Onkyo’s C-7030 CD player and TX-8270 stereo receiver, into a pair of Magnat Shadow 207 floorstanders, with multichannel use being handed over to Onkyo’s AV components and Magnat’s Tempus series. 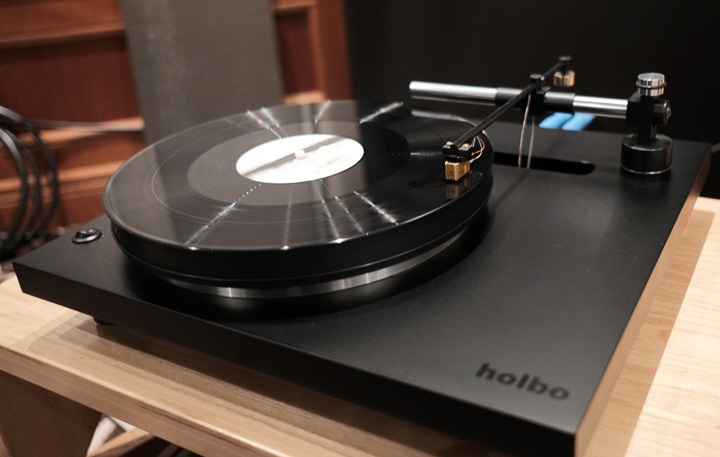 One of the most exciting products at the show was the new Holbo turntable, from neighbouring Slovenia. This deck with airbearing 5kg aluminium platter and integral linear tracking tangential airbearing tonearm is packed full of clever innovations (such as the ability to adjust VTA on the fly) and the deck itself is little more than the size of a Rega. The Holbo is said to have taken more than two years to design, is in the final stages of certification, and is expected to cost around €5,000 when it is finally launched at the end of this year.